Hello Friends, Watch Chow Mein Eating Challenge and enjoy SPICY NOODLES CHALLENGE with Coca Cola till the end for Full Bollywood Entertaining Punishment. 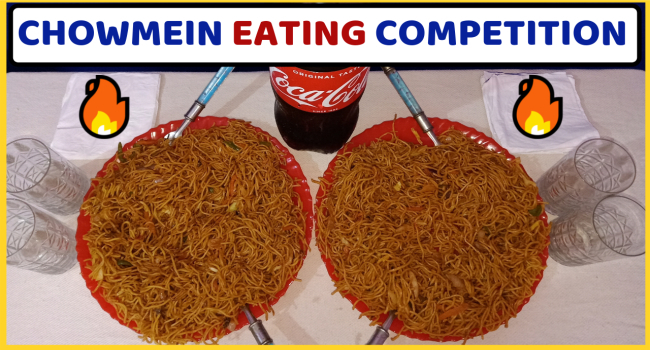 In this video, Me (Ashish) and My Big Brother (Ankur) are trying to entertain you by Chow Mein Eating Competition. Hope you will like this Vegetable Chow Mein Eating challenge. Stay connected with KulFiy. Hit the LIKE BUTTON, SHARE with your Friends on Whatsapp, Facebook & Other Social Networks.